The RTT* Collaborative, a non-profit founded in November 2012, emerged from the RTT Technical Assistance Program (RTT-TA), established in September of 2010 through a grant from HRSA’s Federal Office of Rural Health Policy. Initially a strategy for creating a sustainable rural physician workforce, the RTT TA program was a consortium of organizations and individuals committed to sustaining rural training track residency programs (RTTs) in family medicine. 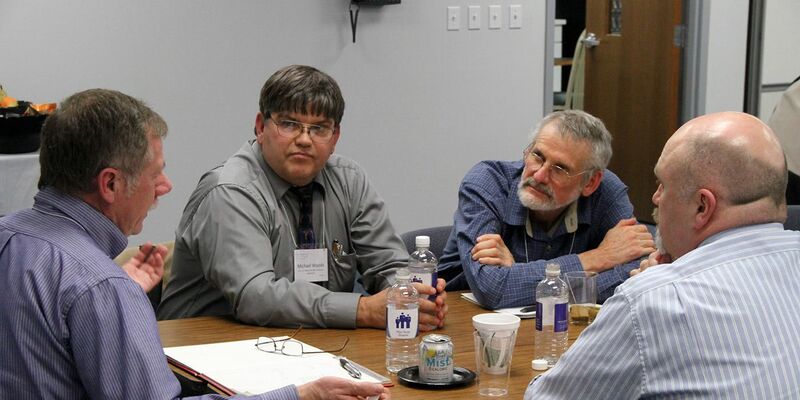 As a result of this grant, the first ever meeting of the nation’s RTT Program Directors, Site Directors, and directors of State Offices of Rural Health occurred in Columbus, Ohio, in February 2011. This meeting generated remarkable enthusiasm for transforming what had been a cottage industry in medical education into a thriving and organic network of support for the distributed efforts of these relatively autonomous programs. Over the next six years, the grant supported online and in person technical assistance, student recruitment, scholarships and interview stipends, and travel and meeting support for an annual meeting. The program dramatically increased the visibility of RTTs among students and others, increased the number of RTTs, and created an important evidence base for rural physician education through research. However, as planned, grant funding ended in August 2016. Since 2010, conversations with the leadership of accrediting bodies, with regulatory federal agencies around residency governance and finance, with representatives of Community Health Centers and Critical Access Hospitals, with the Rural Medical Educators and other interested groups with the National Rural Health Association, with The GME Initiative, and with a multitude of other stakeholders point to the need for collaboration among all of these interested parties in addressing a growing rural physician workforce crisis in family medicine, general surgery, and other generalist specialties in primary care. In addition, in rural communities in particular, physician education often substantially contributes to an infrastructure for education and training in other health professions. Establishing a non-profit entity such as The RTT Collaborative to refine, further expand, and carry on this critical work is essential to sustaining rural health professions education, a quality rural health professions workforce, and the health of rural communities. As a coalition of rural medical educators, medical schools with rural tracks, rural residency programs of all types, and rural researchers and policymakers, The RTT Collaborative is a nexus for those interested in building and sustaining health professions education in rural places. What we hope to become for the nation is already happening in several states, with Wisconsin and Colorado the exemplars in this regard. We intend to become a network of such networks. From this base in physician education and in a true interprofessional spirit, the Collaborative intends to expand in future years to address all types of rural health professions training and invites other professionals to come to our meetings and join our movement. For further history, read, “Building a community of practice in rural medical education: growing our own together” This article examines the history of rural training track residency programs in the United States over the past 30 years and reveals the significance of a community of practice for ongoing support and development of these programs.